St Mark’s CE Primary School are extremely proud and excited to have become a Forest School. Forest School is a concept that has been developed from the Scandinavian approach to learning, where children from the age of 3-7 attend Early Years Education called måbørnspædagogik, or Forest School. In Forest School children get the chance to play, explore and discover. The sessions are all about exploration of their surroundings. Children learn best from first hand experiences. Forest School can and is delivered alongside the conventional education methods to provide children with the ability to transfer their skills they learn into everyday life. The focus is on reconnecting (or in some cases ‘connecting’) children with their local outdoor environment, giving them the space and freedom to discover, play, explore and learn within a natural, outdoor setting. 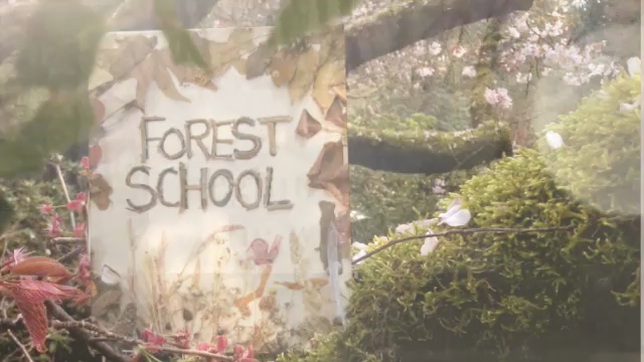 The Forest School provides a safe, outdoor setting which is supervised by trained Forest School leaders where the children are encouraged to explore all aspects of the natural world. No child can fail at Forest School; they all manage to take something positive from the experience. The St Mark’s Forest School site is located beyond the sports court. It has remained predominantly unused until now, which has allowed it to independently flourish and mature. We are very much looking forward to having our first Forest School sessions with Year 2 in the second half of the summer term.